The Godfather is regarded by many as one of the coolest films of all time. The films focus on one Italian Sicilian family, the Corleones. 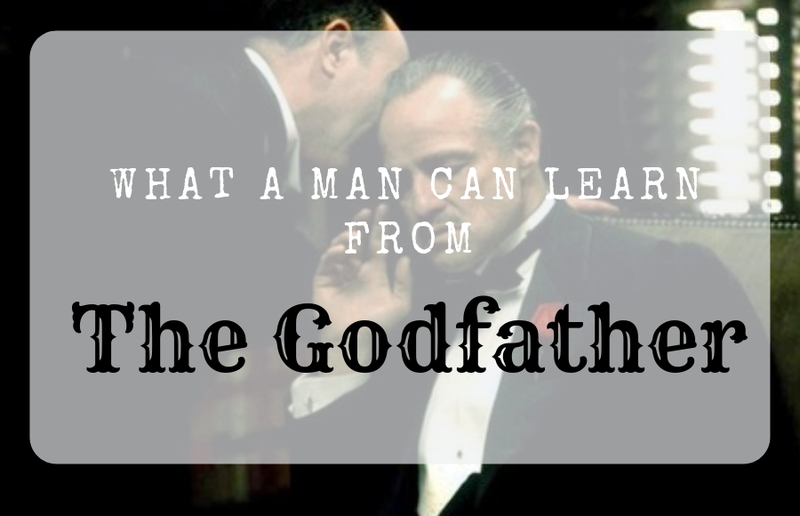 The stacked cast has Marlon Brando as Don Corleone, ‘The Godfather’ and Al Pacino as Michael Corleone who reluctantly takes his fathers place as head of the family. Male lions spend their days relaxing and conserving energy while the females hunt game for dinner. They trust the females to bring home dinner while they save their strength to protect the pack. Alpha males conserve energy because they must have full strength to defend their lion family from attacks from other males. Don Corleone moves slow, because he doesn’t have to move for anyone. Ever heard a confident man in a film or real life speak like a little girl? Hurried, full of emotion and exasperated? Take 3-5 seconds to THINK about what you’re going to say when responding to someone. This will help you articulate yourself better and when you speak it won’t be wasted words. Articulate your words. Speak with clarity so that each word has it’s full power. Use silence as a tool. Al Pacino’s and Marlon Brando’s character words have weight to them and every-time he speaks everyone is attentively listening. This is what I’m talking about: measured, powerful and authoritative. These mean use tactful pauses in their speech to raise tension. There’s this scene where another mob boss is speaking to Don Corleone and one of Don’s sons interrupts. The Don waves his hand and mutters all he says is, “Wait a minute”. His son Santino Corleone immediately stops talking. 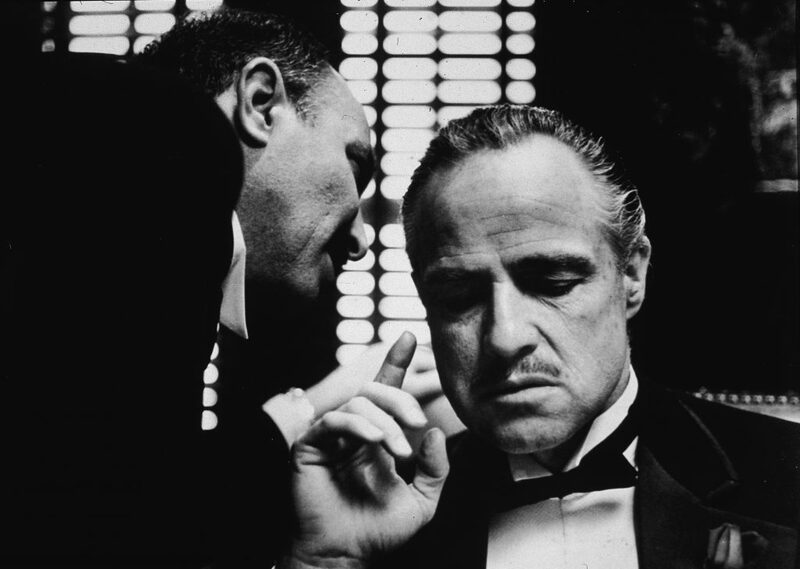 Don Corleone hushes people with simple gestures communicating his dominance to everyone in the room. The loudest one in the room is often the one with the most to prove. Be silent at times and you’ll carry an air of mystery. For large majority of the film Don Corleone is calm and collected, but there are moments when it’s required of him to take action. When he does take action he is quick to rise and quick to strike. This is why the lion conserves his energy, to be ready for quick responses when action is needed. In this scene the beloved godson Frank Sinatra, ahem cough cough I mean Johnny Fontane is a famous Hollywood star and comes to ask his Godfather for a favor on the Godfather’s daughter’s wedding day. If you haven’t seen The Godfather I highly recommend it. Study the ways these alpha men behave and implement their body language in your life and I guarantee you’ll earn more respect from your colleagues. Cheers to your success, gentlemen. Why is the Bro-Code Over rated?